provide inspiring and motivating ideas for pushing innovation and transforming teaching and learning. 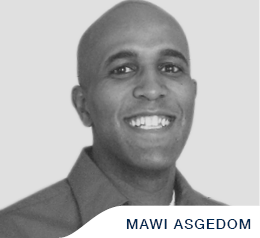 Mawi Asgedom arrived in the U.S. as a refugee from Ethiopia and faced many challenges including poverty and language barriers. After being mentored on critical social emotional skills such as goal setting, Mawi went on a remarkable growth journey that resulted in a scholarship to Harvard University, where he delivered the commencement speech to 30,000 Harvard graduates. Mawi is the founder of Mawi Learning, a best-selling author, and a frequent keynote speaker. He has been featured on the Oprah Winfrey Show and in leading media such as NPR, ESSENCE, and The Chicago Tribune. 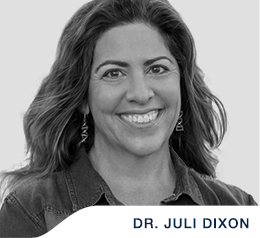 Juli Dixon, PhD, is a professor of mathematics education at the University of Central Florida (UCF). Dr. Dixon is focused on improving teachers’ mathematics knowledge for teaching so that they support their students to communicate and justify mathematical ideas. She is a prolific writer who has published numerous books, textbooks, and articles. Dr. Dixon delivers keynotes and other presentations throughout North America. She is co-author of Houghton Mifflin Harcourt’s Go Math for K-8 Mathematics and AGA and Integrated Mathematics for High School. She is also co-author of Making Sense of Mathematics for Teaching book and video series. Especially important to Dr. Dixon is the need to teach each and every student. She often shares her personal story of supporting her own children with special needs to learn mathematics in an inclusive setting. Juli published A Stroke of Luck: A Girl’s Second Chance at Life with her daughter, Jessica Dixon. 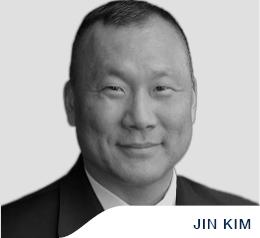 Jin Kim is a 23-year veteran of the Federal Bureau of Investigation (FBI) – New York Division. Before retiring in 2018, he served as the Active Shooter Coordinator in the Crisis Management Unit and was the leading authority in directing active shooter and workplace violence preparedness, resiliency, and training for the FBI and its corporate and private sector partnerships. Jin is widely recognized as a subject matter expert and material practitioner in active shooter and targeted violence attacks. 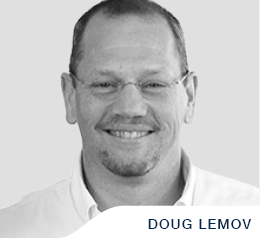 Doug Lemov is a managing director of Uncommon Schools, which runs high-performing urban charter schools in the Northeast. He focuses his work on teacher training based on the study and analysis of high-performing teachers. He is author of the international bestseller, Teach Like a Champion, and is coauthor of Practice Perfect, Reading Reconsidered, and the Teach Like a Champion Field Guide. 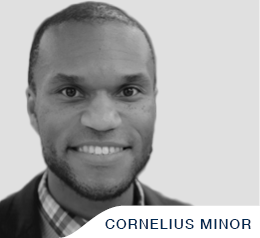 Cornelius Minor is Lead Staff Developer at the Teachers College Reading and Writing Project where he works with teachers, school leaders, and leaders of community-based organizations to support deep and wide literacy reform in cities (and sometimes villages) across the globe. Whether working with teachers and young people in Singapore, Seattle, or New York City, Cornelius always uses his love for technology, hip-hop, and social media to recruit students’ engagement in reading and writing and teachers’ engagement in communities of practice. As a coach, Cornelius draws not only on his years teaching middle school in the Bronx and Brooklyn, but also on time spent skateboarding, shooting hoops, and working with young people. 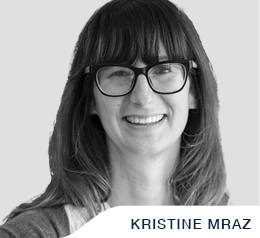 Kristine Mraz teaches Kindergarten in the New York City Public schools. In addition to writing and teaching, she consults in schools across the country and as far away as Taiwan. She primarily supports teachers in early literacy, play, and inquiry based learning. Kristi is the co-author of several best-selling books including: Purposeful Play, A Mindset for Learning, Smarter Charts, and Smarter Charts for Math, Science, and Social Studies. 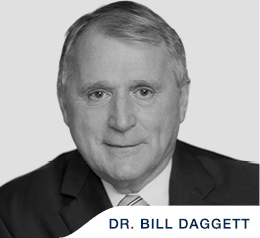 Bill Daggett, Ed.D., Founder and Chairman of ICLE, is recognized worldwide for his proven ability to move PreK–12 education systems toward more rigorous and relevant skills and knowledge for all students. Dr. Daggett’s System for Effective Instruction and Rigor/Relevance Framework are the cornerstones of many school improvement efforts throughout the United States, and his powerful keynote messages help his audience challenge assumptions about the purposes, benefits, and effectiveness of current practices. Before founding and now serving as Chairman of ICLE, Dr. Daggett was a teacher, local administrator, and a director with the New York State Education Department. Tyrone C. Howard is professor in the Graduate School of Education and Information Studies’ at UCLA. He is also the Associate Dean for Equity, Diversity & Inclusion. 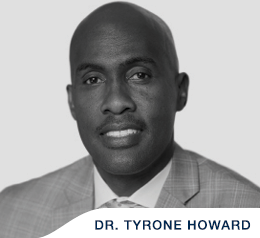 Dr. Howard’s research examines culture, race, teaching and learning; he has published several bestselling books, and his most recent book, Expanding College Access for Urban Youth, documents ways schools and colleges can create higher education opportunities for youth of color. A native of Compton, California, where he also worked for years as a classroom teacher, Dr. Howard was recently named the recipient of the 2015 UCLA Distinguished Teaching Award. 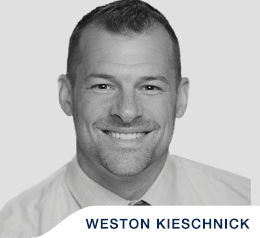 As a former teacher and school administrator, Weston Kieschnick has driven change and improved student learning in multiple capacities within his educational career. Weston’s teaching career began internationally in Hamilton, Bermuda where he served as both teacher and department chair for social studies, and during that time he was a three time recipient of the public schools’ “Most Influential Teacher” award. Now, as an experienced instructional coach and Senior Fellow with ICLE, Kieschnick shares his expertise with teachers in order to transform learning through online and blended models. He is the author of the best-selling book: Bold School: Old School Wisdom + New School Technologies = Blended Learning That Works. 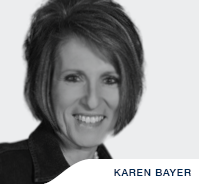 Karen Bayer, a leadership and instructional coach with ICLE, has empowered educators across the country to make powerful and positive impacts in student learning outcomes. Stressing the importance of continuously building positive relationships, both with students and each other, she works closely with teachers and leaders to help them reflect on and leverage those connections to make learning relevant and rigorous for all students. Karen was named Texas Administrator of the Year by the Texas Classroom Teachers Association in 2010. 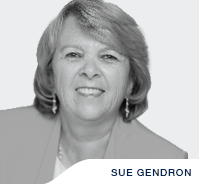 Sue Gendron, President of ICLE, leads a team of forward-thinking and innovative education leaders in developing and implementing the tools, resources, and relationships necessary to advance our nation’s education agenda. A former kindergarten teacher, primary school principal, and high school principal, Sue received the Maine School Superintendents’ Distinguished Educator Award in 2001, and in 2002, was named Maine’s Superintendent of the Year. In April 2010, Sue became Policy Director for SMARTER Balanced Assessment Consortium, a coalition of 35 states working to develop assessments that accurately measure student progress toward college and career readiness. 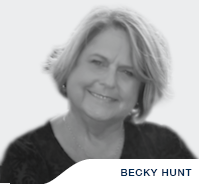 Becky Hunt is an educator, educational consultant, and author who has been a principal at both public and private schools. She specializes in International Studies, Curriculum Development, and Balanced Literacy. Becky has served as an Instructional trainer and coach for schools around the world. Her experience provided the inspiration for her latest book, Global Concepts for Young People, Stories, Lessons and Activities to Teach Children about Our World. 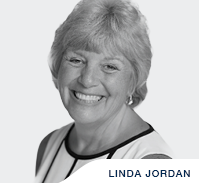 Often described as “a teacher’s teacher,” Linda Jordan brings great enthusiasm, competence, and common sense to her work. Her firsthand experiences with students convinced her of the importance of acting on insights from brain research to boost achievement. Linda is a Senior Implementation Advisor for ICLE as well as, an Associate Professor of Education at Hope College where she teaches Educational Psychology, Classroom Management and Curriculum and Methods for Science, Math and Social Studies. She is a founding member of the Midwest Brain and Learning Institute at Hope College and creator and instructor for an on-line certification in Advanced Learning. Karen Krey is passionately focused on supporting the learning potential of all students, instructional expertise of teachers, and visionary work of district leaders. Her teaching career spans 25 years of service as a special education teacher, an elementary and middle school educator, Title I building coordinator, Educational Diagnostician, and intervention specialist. 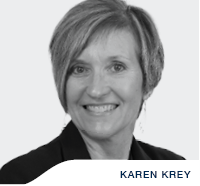 For the past 12 years, Karen has focused on leadership and instructional support as a national presenter and coach, with a particular emphasis on literacy. 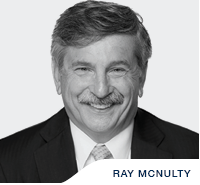 Ray McNulty is the Dean for the School of Education at Southern New Hampshire University and is a Senior Fellow for ICLE, having previously served as President. Ray also serves as the Chair of the National Dropout Prevention Network and was recently the Chief Learning Officer for Penn Foster a global leader in online education. Prior to joining ICLE, he was a senior fellow at the Bill & Melinda Gates Foundation, where he worked with leading educators on improving our nation's high schools. Ray is a past president of the Association for Supervision and Curriculum Development (ASCD). He is the author of the book, It’s Not Us Against Them — Creating the Schools We Need. 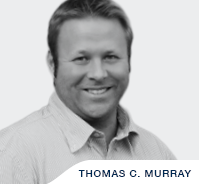 Tom Murray serves as the state and district digital learning director for the Alliance for Excellent Education, located in Washington, DC. He has testified before the United States Congress and works alongside that body and the US Senate, the US Department of Education and state departments of education, corporations, and school districts throughout the country to implement digital learning. Murray’s experiences in K–12 digital leadership, which include implementing a 1:1 program, BYOD, blended learning, and a K–12 cyber school where he served as the director of technology and cyber education for the Quakertown Community School District in Bucks County, Pennsylvania, have been recognized nationally. Murray is co-author of the best-selling book: Learning Transformed: 8 Keys to Designing Tomorrow's Schools, Today. 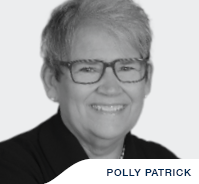 Polly Patrick, author, teacher, and consultant, is passionate to engage all members of a school community to stay focused on learning. Currently, Polly works as a Senior Instructional and Leadership Consultant at ICLE in school improvement, collective efficacy and collaboration, literacy, thinking and learning as it drives instructional practices. Polly previously worked in Minnetonka, Minnesota as a classroom teacher, Instructional Coach, and New Teacher Specialist; she also served as an Adjunct Instructor in education for 25 years at the University of St. Thomas guiding both pre-service teachers and current teachers earning their graduate degrees. Polly’s favorite professional experiences involve collaborating to improve student learning. Lissa Pijanowski, Ed.D., supports teachers and leaders in creating compelling learning environments that reflect high expectations, promote student engagement, and produce results. Lissa's work with schools across the U.S. integrates her years of school improvement experience and curriculum leadership in standards-based education. Lissa has served as a public school educator for over 25 years. She holds a Doctorate of Education with a concentration in Organizational Leadership and Change, a Master’s in Educational Leadership, and a Bachelor of Science in Education. 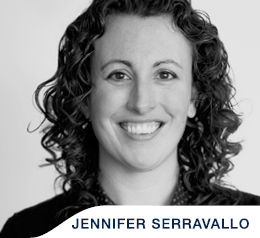 Jennifer Serravallo was a teacher in Title I Schools in New York City, and later a Senior Staff Developer at the Teachers College Reading and Writing Project at Columbia University. She is now a national consultant and speaker who helps urban, suburban, and rural schools implement exceptional literacy instruction. She is the author of numerous books on the teaching of reading and writing including the New York Times bestseller, The Reading Strategies Book and the two-time award-winning Independent Reading Assessment series. Her newest book, The Writing Strategies Book, will be published in February 2017. Coaching schools to best meet the needs of all students is Sherry St. Clair’s passion. She is a highly regarded coach and consultant in the areas of leadership, effective classroom practices, classroom walkthroughs, effective use of data, balanced literacy, science, and creating a culture of college and career readiness. 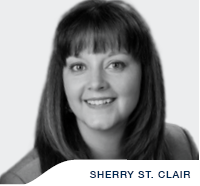 Sherry draws from her rich career experience in public education – teaching elementary school, being an administrator in a high school of 1,300 students, working as a state consultant, and creating and facilitating virtual courses. 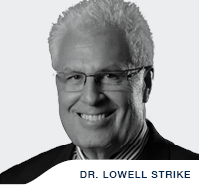 Lowell Strike, Ph.D., is an educator with over 40 years of experience ranging from high school teacher to superintendent. Lowell serves as a consultant and coach to districts across the country to develop instructional leadership teams and strategically align organizational leadership, instructional leadership, and teaching goals in order to improve student outcomes. He has been awarded the State of Texas Business Person of the Year by the Texas Future Business Leaders of America, two-time Veterans of Foreign Wars Outstanding Educator award, inducted into the Distributive Education Clubs of America Hall of Fame, and presented with the Brazos Valley Black School Educators Outstanding Service Award. 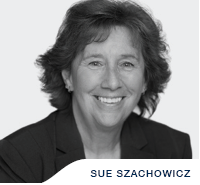 Sue Szachowicz, a Senior Fellow with ICLE, is dedicated to ensuring all students achieve college and career readiness and firmly believes the ideology: “High expectations, high standards—no excuses.” She served students at Brockton High School, MA, a large comprehensive urban high school for her entire career and describes herself as Brockton High’s greatest cheerleader. Sue continues to be committed to performance transformation at the school and in the state and has served on numerous state commissions on school improvement particularly regarding the Massachusetts assessment program. Sue is the author of Transforming Brockton High School: High Standards, High Expectations, No Excuses. 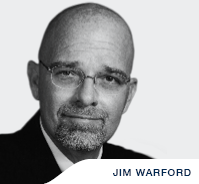 Jim Warford is a courageous education leader who did not follow a traditional career path. 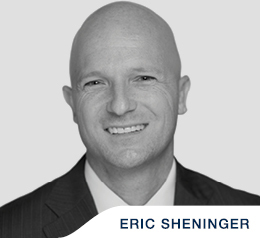 His unique combination of educational, business, and creative experience allows him to translate his vision and passion for school improvement into well executed, systemic changes resulting in dramatic increases in student outcomes. Jim currently serves as Senior Consultant for ICLE, working with states, districts, and schools nationwide. He’s previously served as Executive Director of the Florida Association of School Administrators, Florida’s (first) Chancellor of K-12 Public Schools, and Superintendent of the Marion County Schools in Florida.